More often than not the big companies get all the advantages leaving SME’s like yours to figure it all out by themselves? And for small companies, working your way through the maze of tax and compliance regulations can seem like a full time job that takes you away from the business of doing what you do to earn the money. Don’t you wish your business could justify the expense of a Financial Controller to take that load off your shoulders? Well, the good news is that you can! Business Adviser’s Virtual Financial Controller packages can provide your Sydney business with all the services that an employed Financial Controller would normally do, but at a fraction of the cost. As a member of the Business Adviser “Family” of companies, we’ll provide you with detailed Business Assistance information on such issues as cash flow, bookkeeping, tax requirements and compliance with the host of regulations out there. We’ll help increase your cash flow, increase profit and grow your business. We’ll give you templates similar to those that Financial Controllers themselves use to make sure you don’t miss important lodgement dates, answer the questions you need to ask to operate your business efficiently and legally. We’ll help you establish your accounts and make sure you’re fully informed about safeguarding your personal assets. We can even help you find sales leads! Business Adviser’s Virtual Financial Controller puts you back in the driver’s seat in your business so you can focus on growing your enterprise, safe in the knowledge that the financial and compliance obligations are taken care of. Read what others have said about DAB here but if you’re looking for the sense of security that comes with knowing that your business is on track in terms of profitability and that your records are fully compliant and ready for any inspection, don’t wait. Click the link below, fill in your details and find out just how much you could save in terms of your bookkeeping costs AND reduce the time and stress of doing it all yourself! We’ll take it from there. We take a much broader approach to ensuring your business is, and remains, financially sound. We take the stress out of your financial and compliance obligations, leaving you free to get on with business. Business Adviser can customize Virtual Financial Controller packages to suit your budget. 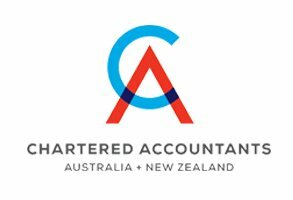 Business Adviser are Chartered Accountants with more than a quarter century of experience in helping people just like you. Our approach is to treat all our clients as “family”, maintaining close and personal ties at all times. We’ll show you the tips and tricks that the big guys use to save money, minimize exposure and maximize your profits. WE GUARANTEE TO IMPROVE YOUR BUSINESS AND PERSONAL FINANCIAL PERFORMANCE. Help! My business is in trouble! If the cycle of your business is such that you are in difficulty with your creditors, ATO, shareholders, etc. our business help service can assist with the turnaround of your business or advise appropriate exit strategies to support you in difficult times. Have questions? Ask! Just call the number below or add your details here online. Your Virtual Financial Controller is just a few clicks away! Enquire now and receive a free consultation!